Of course, watching HD content is all set to change as HD DVD and Blu-ray Disc players finally start arriving in the shops - but you're still looking at around £500 for a standalone HD DVD player and the same, if not more, for Blu-ray. 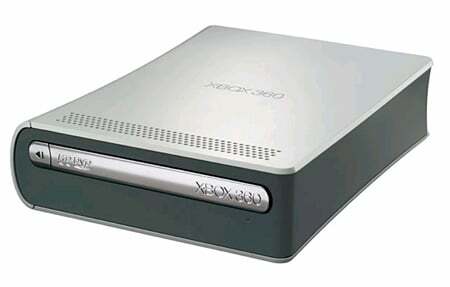 Microsoft, however, has cunningly put out a bargain Xbox 360 add-on that will have you set up for HD for less than £130. No, really - just £130. 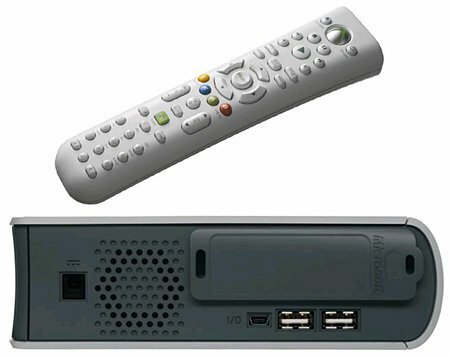 Even if you haven't already got an Xbox 360, you can snap up a Core system for £200 bringing the whole caboodle to a mere £350 once you've factored in the cost of an HD cable. The drive matches the Xbox 360 styling and you can stand it horizontally or vertically depending on your preferred orientation. In the box you'll find the unit, a mini-USB cable, power supply, remote control and a copy of King Kong on HD DVD - not a bad little package, although the remote and King Kong may be limited freebies. To install, simply plug in the power and USB cable and you're ready to go. Providing you've got the latest Xbox 360 update, the drive will be recognised and you can sit back and hit play. The only difference to the Xbox Dashboard is the circular drive icon is now split in two, with the internal drive on the top and HD DVD on the bottom. The drive also has two additional USB ports on the back, so you can still plug in a wireless adaptor or camera if need be. HD DVD supports a maximum resolution of 1080p - and the latest Xbox 360 firmware update adds support for this. In addition, you can also choose to downscale to 1080i or 720p if either's the native resolution of your TV. For HD output you'll need either a component-video or VGA cable - unfortunately there's no HDMI cable for the Xbox 360. While this isn't a huge problem at the moment, it could cause issues in the future. Such an issue involves the HD DVD spec, which includes a feature that allows the content owner to force the hardware to lower the resolution of the picture if the content is sent over non-secure connections - such as component-video. This is done via an Image Constraint Token (ICT) embedded in the disc. It's not implemented in the current crop of discs, but if it's implemented in the future then output over component-video could be restricted to 540p - basically defeating the point of having an HD source in the first place and potentially turning the Xbox HD-DVD player into something only slightly better than a standard DVD drive.